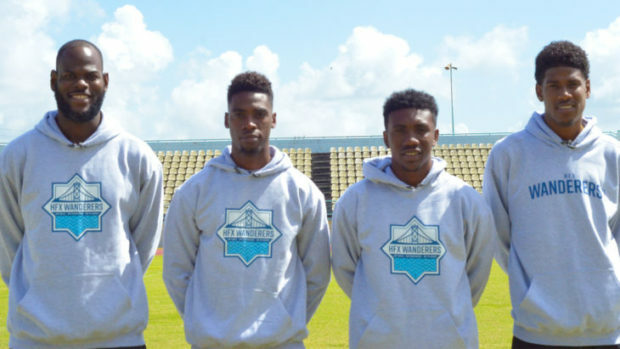 These difficulties were particularly true for the four Trinidadians signed by HFX Wanderers in early January. Jan-Michael Williams, Elton John, Akeem Garcia, and Andre Rampersad were announced simultaneously, and Williams aside, it was a bit of a stretch finding ample material for putting together this piece about each of their careers so far. Fortunately, Lasana Liburd came to the rescue. Lasana is a Trinidadian football journalist for wired868.com, a website that contained the most information on these players I could find, and was familiar with their career paths. I’ll start with Jan-Michael Williams. How is he viewed in Trinidad? Obviously it’s a country that produced Shaka Hislop so the people there expect a lot of from their goalkeepers. Jan-Michael has been a bright prospect for so long and might very well have become the goalkeeper we all wanted him to be. He was still a teenager, or just past 20, when he was signed by Sheffield United but, unlike Hislop, he could not get a work permit. I’d like it if you could tell us a bit about what kind of player Williams is and the journey he has gone on during his career. Primarily, is he a leader on the pitch? He was made captain of the Trinidad & Tobago national team by Stephen Hart, so I expect that he’ll be the HFX Wanderers captain too. There is a closed door for young Trinidad talent and it is one of the factors in our current issues as a footballing nation. All the same, Jan is a big guy with good distribution skills and a real command of his area. It is important for him to be in good physical condition for him to produce his best. But Hart should know that already. He has good leadership skills. What kind of player is Elton John? I’ve read that he can be play as a defender or a midfielder, which position do you think suits him best? Elton John was considered a talented ball playing midfielder in his teenage years as a schoolboy. Unfortunately, his lack of pace and tricks killed his dream to be a midfield star, but his ability to read the game and distribute efficiently allowed him to recast himself as a defender in the back line, initially as a right back and eventually as a central defender, too. According to what is needed, he can play a holding role in midfield or right back or central defender. As a player, he is composed, tough and smart. Despite spending so long at the top-level of Trinidadian football, he only has one international cap. Do you have any ideas why this is? The problem for Elton is that Trinidad has enjoyed a golden age for young and raw defenders such as Daneil Cyrus, Sheldon Bateau, Mekeil Williams, and Curtis Gonzales who are all bigger than he is or faster and younger, too. But John could do a job for the national team. Aakeem Garcia looks like a good young prospect. How would you sum up his playing style? Akeem Garcia had Trinidad & Tobago national senior team prospect written all over him before he suffered a bad knee injury as a teenager. He has a low center of gravity that he takes full advantage of. He’s a nifty dribbler who can operate on either flank and has a lot of heart. If Akeem finds his feet, he will be the one to sell the most jerseys. I’ve struggled to find clips of Andre Rampersad online, but those I’ve seen of him show a tall, strong central midfielder. Is this an accurate description of him? Also, as a player who has spent his career in the second tier of Trinidadian football, do you think he can make the step up? Andre Rampersad has never played in the top flight in Trinidad but he is mobile, brave and has a good engine. This really is a step into the unknown for him and a lot will depend on his self-confidence and the job he gets to do. He is most comfortable using his energy in central midfield to be a nuisance for opponents by seeming to be in two positions at once. 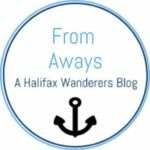 For more information about the four, check out the piece I wrote HERE on my From Away blog which outlines their careers up to this point. Also, take a look at the blog’s squad page which features basic information about them, plus highlight videos and full matches.